SIZES: This modern Super Soft Warm Bed Blanket is Queen size. 80"x80". King size is: 90"x80". 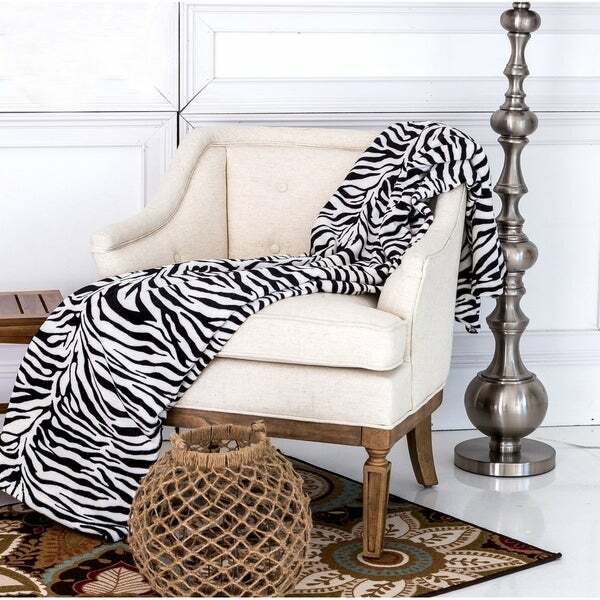 LOOK: This Zebra Print Blanket will add a vibrant and crisp look on the Bed. COMFORT: Elegant and beautifully made for super soft warm value. Soft blanket, feels great on your body. Dimensions 80.0 In. X 90.0 In. X 0.5 In.